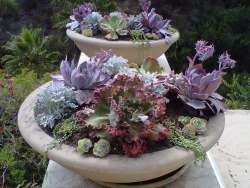 There is a lot of information on this site about succulents and xeriscaping. With over 500 pages of it, it's easy to get overwhelmed and give up. Tired of water restrictions that are limiting the growth of your garden, but you still want to surround yourself with beauty? You're not alone! 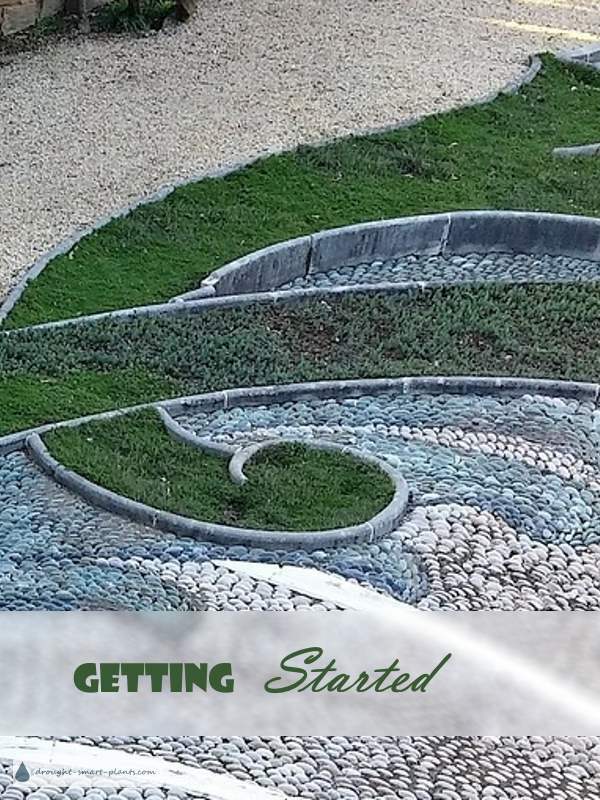 Whether you're starting xeriscaping, or just want to grow a few succulents, this page will outline the important stuff; once you get a bit of knowledge, you'll be amazed at how much easier it is to get completely addicted to this fascinating new field. Starting xeriscaping, but really don't know much about it? This way of gardening without much water is getting to be a necessity. 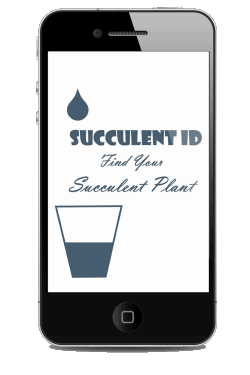 Some strata councils and municipalities restrict the amount of water available for gardening, so it's up to us to find ways of growing plants that don't require much - such as using succulents and other drought tolerant plants. They can make a lush, beautiful garden too! And don't miss the Xeriscapers Creed, a tongue in cheek set of rules to follow. And that's just the beginning. These pages will pique your interest, as there's so much to know. We're just getting started, and this is the way of the future. For more, see what's trending here.